TennisTuesday: Which Player Has Best Fan Base? Check out Tennis Tuesday FAN FAVORITES section, Which Tennis player has the biggest fan base? 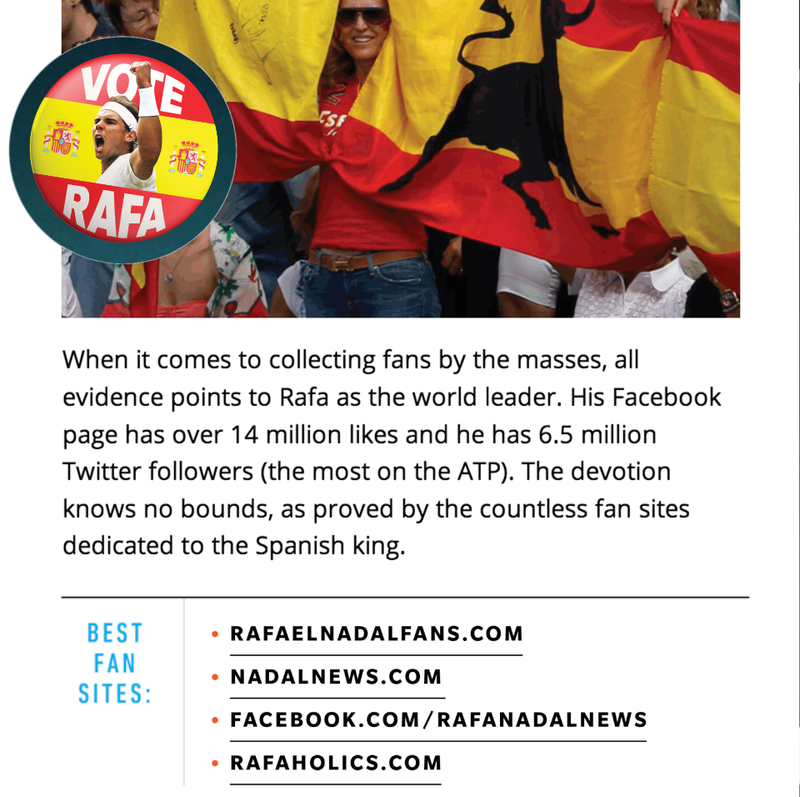 Rafaholics.com among the other great fan site dedicated to Rafa & his amazing fans make the list for Best Fan Sites! 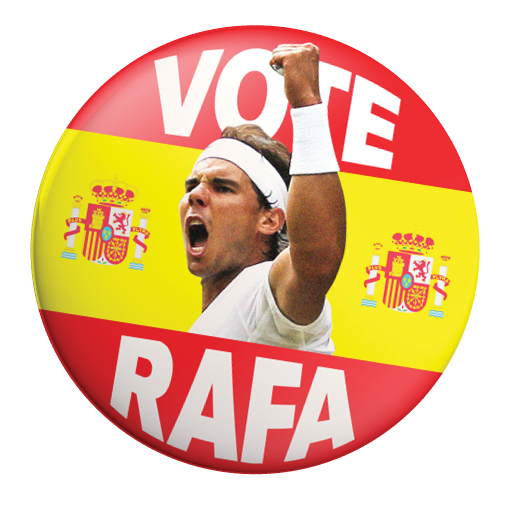 So as Rafaholics, we all need to go on over to Issue: July 29th 2014 and Vote RAFA! Thanks Tennis Tuesday for adding us to the list! You can also download their app!